Every story should be told, but some of them are forgotten. The story of Sinbad is beautiful, but in order to get all details, you have to unlock the chests. Get those keys through the pattern, but do that quickly. Make your day full of adventures and collect some keys to unlock chests, that will give you hints about the details of the story. 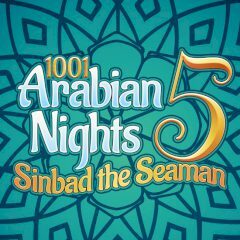 Everyone knows who Sinbad is, but his story is full of mysterious events. Match tiles with each other and collect keys, that you eject from the pattern. Complete the game and get the full story!